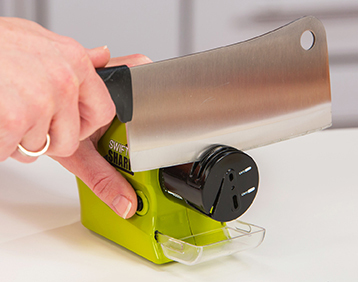 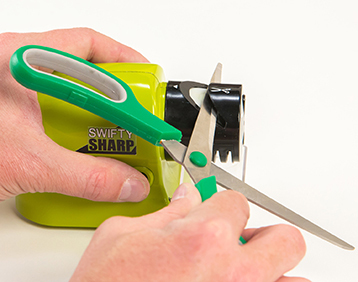 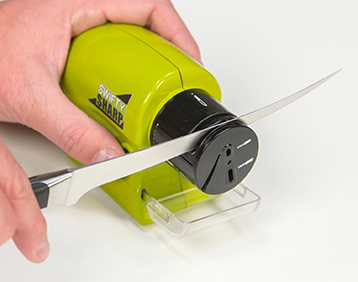 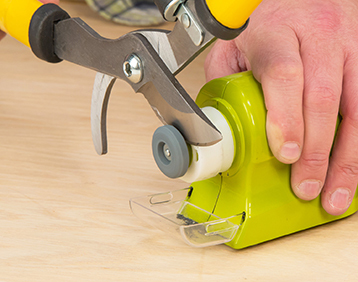 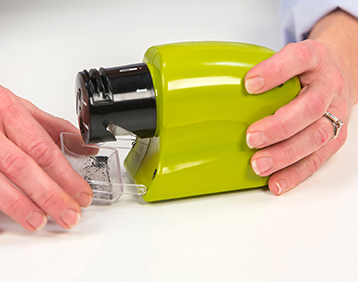 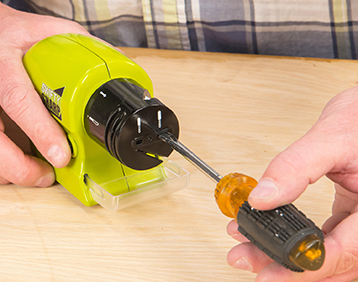 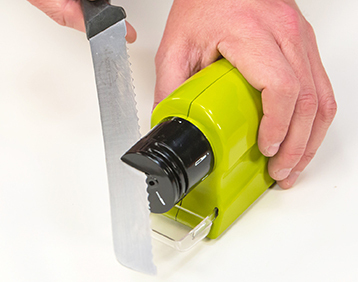 SWIFTY SHARP™ is the incredible, cordless, motorized knife sharpener that provides precision power sharpening and restores the razor edge on blades in seconds! 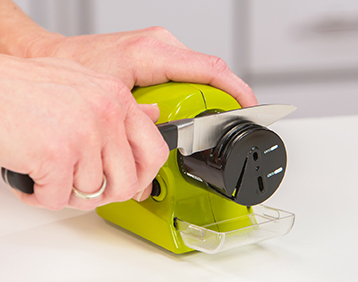 The built-in guide holds the blade at the perfect angle while the professional grade high speed rotating sharpening stone sharpens and hones the blades edge. 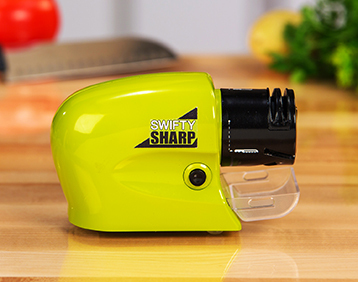 Includes safety slot for different functions: all types of knives, precision tools, scissors, and household tools. 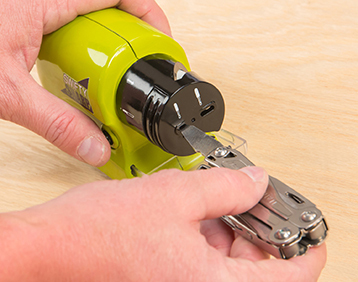 • Extends the life of your knives and tools.